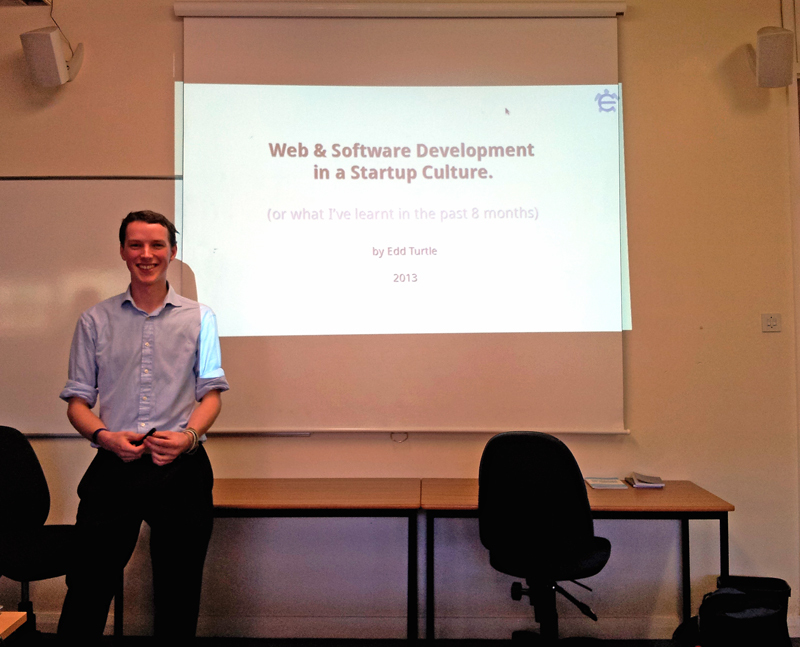 Edd Turtle, a graduate from University of Wales Trinity Saint David in Software Engineering, recently gave a presentation about ‘Web & Software Development in a Startup Culture’. The presentation spoke about both the software principles used in industry and opportunities for any students looking to start their own company. Edd is the lead developer at a local startup company called Hoowla, which is an online conveyancing solution helping buyers, sellers and their solicitors to collaborate on cases together. The first part of the presentation focused on how cloud computing is used within Hoowla and other companies to maintain it’s online stability and scalability. The latter half of the presentation focused primarily on the opportunities available to students in the local area, highlighting that there are technology companies (and jobs) in South Wales. The School would like to thank Edd for returning to the School of Applied Computing to share his experience and knowledge with our current students, and we look forward to future collaborations.